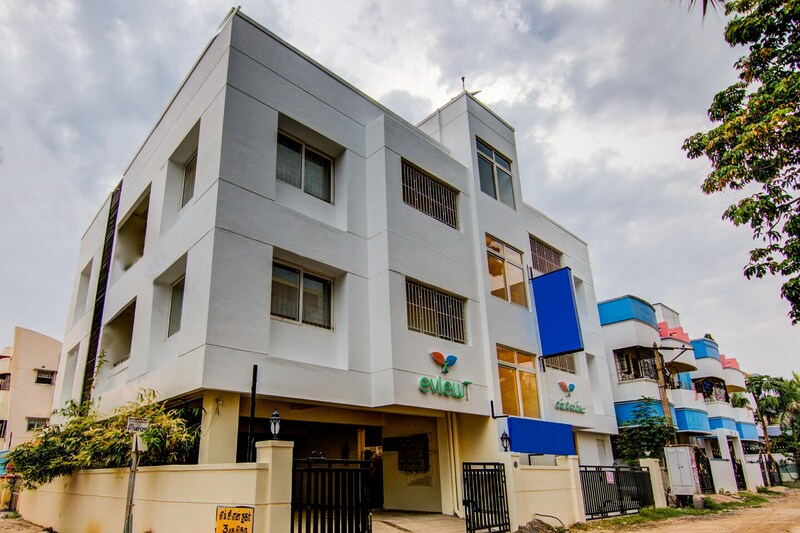 The beautiful building of Evlewt Omr stands elegantly in the city of Chennai, providing the guests with a peaceful accommodation. The rooms are spacious and have the basic amenities needed by the guests. It has simple furniture with partially cushioned headboard, adding to the comfort of the guests. They provide a well-lit seating area, parking facility which makes it easier for the guests who have vehicles. They also provide free WIFi making it easier for guests to be connected to the online world. For security purposes, they have CCTV cameras installed, and for the convenience of the guests, they have power backup facility and card payments too.